Wutah to make a comeback? 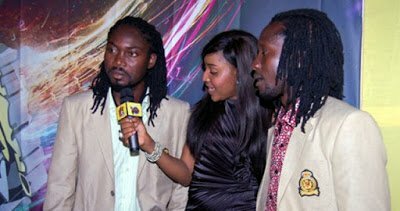 One disintegrated music group which many music fanatics would love to see united is Wutah.That dream of a comeback for Afriyie (Pee Vee) and Kobby as the unit, Wutah, is already in the making as disclosed by one-half of the well-loved group. As Afriyie made it known to Dr. Pounds on Hitz FM that, he and Kobby, are deep in discussion on working together again on a project – after years of separation. Afriyie divulged that, the only challenge they have, is the constraint of time and the busy schedules of the two, which is delaying their comeback. He also hinted about their excitement in relation to the President of Ghana’s endorsement of Wutah as one of the groups he loves to listen to. After calls by many music lovers for them to make a come back, it took the endorsement of the President to alert the two, that they are better off as a unit than with their solo careers. In deed, the two, albeit being great talents, have struggled to attain the same level of recognition and relevance as solo acts, compared to their time as Wutah.